This 10th year in RDSP history will stand out as a banner one. As 2013 nears its end we’d like to thank everyone who has supported us and gotten us through these past 10 years. 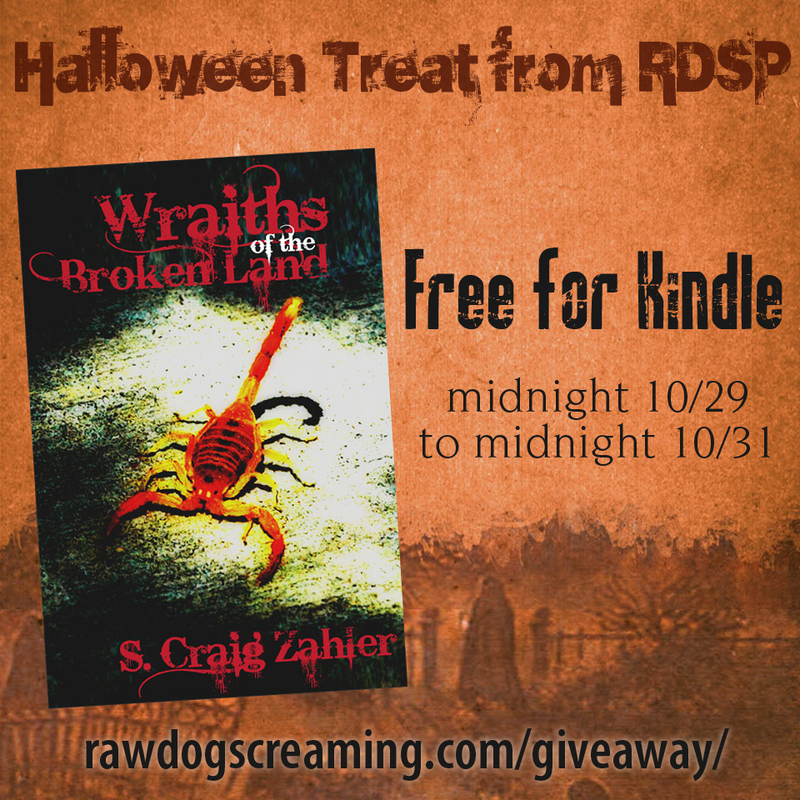 So we hope you will accept this Halloween gift from us, a free Kindle copy of WRAITHS OF THE BROKEN LAND by S. Craig Zahler. This novel is perfect for the occasion because it acknowledges that our roots are in Horror but, as a Western, is definitely cross-genre. WRAITHS maintains literary quality in its prose but with a breakneck plot that proves great literature doesn’t have to be boring. In the end that is what RDSP is all about, bringing unclassifiable fiction into the world for those who don’t want to read the same old predictable books. Download your free copy from Amazon.com between midnight Tuesday night/Wednesday morning and midnight Halloween here. Please note: times are approximate and according to Pacific Standard Time. A brutal and unflinching tale that takes many of its cues from both cinema and pulp horror, Wraiths of the Broken Land is like no Western you’ve ever seen or read. Desperate to reclaim two kidnapped sisters who were forced into prostitution, the Plugfords storm across the badlands and blast their way through Hell. This gritty, character-driven piece will have you by the throat from the very first page and drag you across sharp rocks for its unrelenting duration. Prepare yourself for a savage Western experience that combines elements of Horror, Noir and Asian ultra-violence.